Dr. Warren Monroe Douglas, 94, of Little Rock passed from this life on April 14th, 2019. Warren was born in Sheridan, AR on June 22, 1924 to Walter and Vera Barnes Douglas. He grew up in Sheridan, worked at his father�s sawmill and the local pharmacy, and graduated from Sheridan High School in May 1942. Not yet 18, he needed a letter of consent from his parents to enlist in the Navy. After training in San Diego, he was stationed in Norfolk, Charleston, and Pensacola Naval Air Center where he completed Naval Aviator training in October 1944. Discharged at the end of WWII, Warren completed his pre-med studies at Little Rock Junior College in 1946 & 1947, then attended medical school at the University of Arkansas for Medical Sciences in Little Rock, and was licensed as a physician in 1951. He settled in Jonesboro, AR to a busy general medical practice and raising three children. He was an active member of the First Baptist Church of Jonesboro and served as a Deacon. He practiced at St. Bernard�s Hospital and was in partnership with Dr. Durwood Wisdom in Jonesboro. 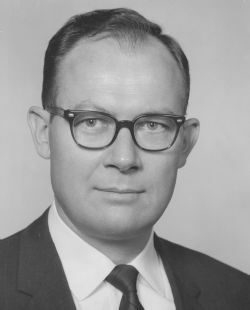 When there was a shortage of psychiatrists in the 1960s, he returned to Little Rock in 1964 and completed a residency in Psychiatry at UAMS in 1967. He practiced psychiatry for 6 years in Memphis before returning to Little Rock where he practiced until his retirement in 2003. He was appointed to the Arkansas State Medical Board by then-Governor Bill Clinton in 1983 and was elected as Vice-Chairman in 1989, serving in that capacity until the end of his term in December 2003. He also served as the first Chairman of the Physician Assistant Advisory Committee from 1999 to 2003. The Board leaned heavily on Dr. Douglas for his psychiatric judgment, wisdom, and fair-mindedness. Board Members frequently consulted him on issues of medical ethics. In 2010 the Pulaski County Medical Society awarded him the President�s Award for a Lifetime of Outstanding Contribution to Medicine. Warren�s life was one of service�to God, Country, Family, and to the many thousands of patients that he helped throughout his long medical career of 51 years. He was an active Member of Second Presbyterian Church in Little Rock. Warren was completely devoted to his parents, siblings and their extended families. Their medical care and welfare was always his priority. For many years, he took great joy in organizing and hosting a Family Reunion in Sheridan. These duties consumed most of his time, but when a spare moment arose he was always busy � tinkering on some project around the house or participating at Stewpot preparing and serving meals to those in need. His favorite outdoor activity was sailing (& endless projects related to) his sailboat on Lake Maumelle. He was preceded in death by his parents, Walter Anderson Douglas and Vera May Barnes Douglas of Sheridan, AR; his wife of 38 years, Kaja Jensen Douglas; his sister, Pauline Ramsey of Benton, AR; and three brothers, Walter A. Douglas of Little Rock, AR; Claud Douglas of Little Rock, AR; and Idus Douglas of Magnolia, AR. Dr. Douglas is survived by his brother, John T. Douglas of Jonesboro; son, David W. Douglas and wife, Susan, of Austin, TX; daughter, Susan Douglas Henry, of Little Rock, AR; son, Stephen W. Douglas and wife, Linda, of Knoxville, TN; grandchildren Destin Douglas, Frances Douglas, Lauren Simmons, Rachel Henry, Carole Douglas, Scott Douglas, Angie House, and nine great-grandchildren. Visitation will be at Roller-Chenal Funeral Home, 13801 Chenal Parkway, Little Rock 72211 from 5:00�7:00 PM, Wednesday, April 17th. Interment will be at Pinecrest Memorial Park at 7401 N AR-5, Alexander AR 72002 at 10:00 AM, Thursday, April 18th. A memorial service will be held at Second Presbyterian Church, 600 Pleasant Valley Drive, Little Rock 72227 at 1:30 PM, Thursday, April 18th followed by a reception at the Church. Pallbearers include David Douglas, Stephen Douglas, Scott Douglas, Destin Douglas, Doug Douglas, Nathan House, John Simmons, and Earl Franklin. Honorary Pallbearers are John T. Douglas, Glen Douglas, Michael Douglas, and Dale Douglas. Memorials may be made to The Stewpot-Little Rock, c/o First Presbyterian Church, 800 Scott Street, Little Rock, AR 72201 (501)372-1804 or to a charity of your choice. If you would like to make a floral tribute, the family suggest Tipton & Hurst (501) 666-3333.